Cargonexx is the first intelligent trucking network in Europe. We make trucking as easy as taxi driving and use machine learning to increase the utilization of truck capacities. The shipper saves money, the carrier earns more and we all have less trucks on the road. 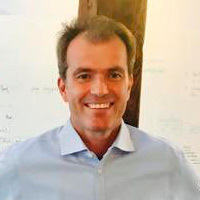 Master at WHU Vallendar, Otto Versand Internal Consulting (3 years), Managing Partner Schickler Consulting (since 1996), Founder & CEO Cargonexx (since 2016), born 1967.